Noemi, originally born in Italy, is currently studying Photojournalism and Documentary Photography at The University of Gloucestershire. She prefers to define herself as a "storyteller" rather than a photographer and her projects are mainly based on people and street documentary - primarily focusing on portraits. With a keen interest in the relationship between people and the environment, she has currently started a series about self-sufficient communities that she aims to turn into a long-term project. We asked Noemi about her latest series. The story of my project is based on Emily Dukes - an eleven year old girl who has an autistic younger brother. She is recognised as a young carer and I am collaborating with a local charity that is supporting her. 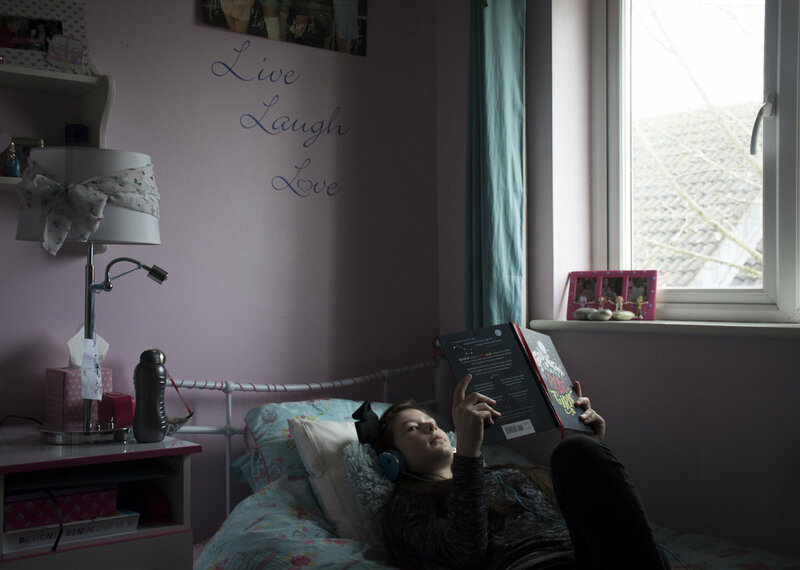 The series shows how Emily’s life is shaped by the conditions of her brother - documenting the impact on her personality, hobbies, interests and relationships.